For students who arrived in the U.S. before their 16th birthday, the federal program that provides benefits to undocumented young people has been invaluable. But the program, Deferred Action for Childhood Arrivals (DACA), has faced uncertainty since President Trump took office. This uncertainty underscores the need for University staff, administrators and faculty to create infrastructures to support their undocumented students. Students like Daniela Vargas, a DACA recipient whose status had lapsed and who was targeted for deportation after she spoke out at a news conference, reveal the urgency of this matter. An open letter signed by 639 college and university presidents also highlights the need for additional steps. Not all colleges are familiar with the fact that DACA students are still undocumented. My following eight suggestions for consideration by university administrators, staff and faculty members build on earlier recommendations from faculty members at UC Irvine to support all undocumented students. First, colleges ought to consider immigrant student needs as part of broader campus diversity initiatives, particularly examining the effects of immigrant status and its intersections with a student’s racial/ethnic identity, gender, sexual orientation, class and first-generation student status. Undocumented student identity in itself is not a monolithic category; in fact there is significant heterogeneity among members of the undocumented population. Racial/ethnic background and sexual orientation are two important aspects of identities to highlight. Second, every institution should consider the creation of its own undocumented student program and/or resource center, as universities including UC Berkeley, UC Davis, the University of Arizona, California State University-Northridge and California State University-Los Angeles have already done. Resources offered include academic counseling, assistance with DACA renewal, referrals to legal resources in the community and peer-mentoring. UC Berkeley’s program, which provides resources for academic counseling, mental health and legal services, offers information and resources on its website for institutions interested in establishing an Undocumented Student Program. An integral component of these programs and centers is the hiring of staff to support these campus-based initiatives. Third, institutions should consider forming an administrative and student working group on undocumented and DACA student issues. This working group, ideally led by the director of the Undocumented Student Program/Resource Center, would provide a space for administrators to communicate about frequent issues that undocumented students on campus are facing and to collaborate on developing innovative solutions to these issue. Student membership as part of the working group is critical to its success. Fourth, these institutions should provide campus-wide coaching for the on-campus allies. These are known as UndocuAlly trainings, and like the one held this spring at Brown, they can covere topics like the appropriate terminology to use when referring to a student’s immigration status, the campus and community-based resources available to immigrant students and strategies and approaches to advising undocumented and DACA students. As part of UC Berkeley’s UndocuAlly Training Program, faculty and staff who attend the training are able to have their contact information listed as part of an online directory. Fifth, institutions should fund access to legal services for undocumented students. Legal consultations would provide students with the opportunity to learn whether they may be eligible for legal relief and a potential path to citizenship, and offer undocumented students a space to explore concerns they may have regarding undocumented family members back home. One option would be for a university’s legal counsel – if they have expertise in immigration law – to assist in providing legal advice to undocumented students. Or, the university could also fund student consultations with attorneys as has been done at Brown. Sixth, they should offer tuition relief for undocumented students. Colleges and universities can work with their alumni associations and donor base to fundraise scholarships for undocumented students. At Brown, undocumented students were re-classified from international students to domestic students for financial aid purposes. This shift in university policy allowed undocumented and DACA students to become eligible for greater university aid and came about as the result of students raising this issue to administrators. At Loyola University, Chicago, students voted for a $5 tuition increase so that the additional revenue would be added to the Magis Scholarship Fund supporting undocumented students. Seventh, they should sign a memorandum of understanding (MOU) with campus and local police. Many university police departments are accredited departments and patrol both on campus and in the adjacent neighborhoods. Given that students often travel off-campus for work, internships or other commitments, universities can train their campus police departments on best practices for working with undocumented individuals by establishing a memorandum of understanding to include not inquiring about a person’s immigration status. Eighth, they should provide resources for post-college transitions and graduate school applications. Campuses can provide support for undocumented students first by ensuring that the university makes clear which campus-based fellowships are open to undocumented students and which university-funded post-graduate fellowships such as the Judith Lee Stronach Baccalaureate Prize at UC Berkeley are available to undocumented and DACA students. Campus Career Centers can assist students in the post-college transition by incorporating strategies from Educator For Fair Consideration’s Life After College Guide and building relationships with organizations established by and for undocumented community member to assist in the pursuit of legal careers, health careers and M.A. and Ph.D. degrees. By adopting some or all eight of these strategies, universities can work to ensure support for current and future undocumented and DACA students. Self-identified undocumented students have also done the work of laying an institutional framework for supporting future cohorts of students. The creation of an institutional infrastructure would signal a university’s commitment to the welfare of undocumented students and demonstrate an intention to follow through on promises to support members of this student community. 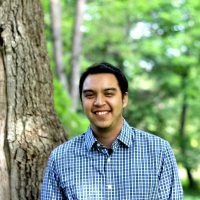 Kevin Escudero is the inaugural faculty fellow for Brown University’s Undocumented Student Initiative and a Presidential Postdoctoral Fellow in American Studies. He worked previously with the UC Berkeley Center for Race and Gender to conduct a campus climate study regarding the treatment of undocumented students and is also a Public Voices Fellow through The OpEd Project.